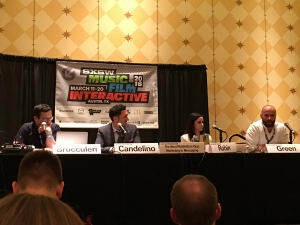 Candelino was speaking at a panel as part of the South by South West (SXSW) Interactive festival. He spoke alongside Kik Interactive’s emerging partnerships lead, Anthony Green, Snaps CEO, Christian Brucculeri and Comedy Central’s director of social strategy, Lesley Robin. The panel was titled “The Next Multibillion Opp: Marketing in Messaging” with the group discussing the undeniable popularity of apps such as Facebook Messenger, WhatsApp, Viber and WeChat. Brucculeri outlined that through these apps, and the others on the market, 257 billion messages are sent daily. Green explained that he believes that messaging platforms are going to be able to do what social media hasn’t been able to do - allow consumers to communicate directly with brands. “We think the age of the app is coming to an end, chat bots are replacing apps,” he says. “You don’t launch apps in China, you launch on WeChat. We want to be the one mobile operating system, so you don’t have to have a different app to order a car service, do your banking,” Green added. When it comes to how effective brands playing in this space actually is, Brucculeri outlined that with mobile messaging everything brands do is “opt-in”. Adding that with one campaign Snaps has run, there’s been a 600% lift intentions to watch a premier of a TV show. “The effectiveness of the channel is around its ability to hit great scale,” he says. SXSW “The Next Multibillion Opp: Marketing in Messaging” panel. There’s no denying that mobile messaging apps are here to stay, but the channel can’t be used as a marketing bolt on, warns Unilever’s vice president of marketing for haircare in the US, Robert Candelino. Unilever recently created a custom emoji board for chat apps, to be used as part of a campaign to engage women with curly hair. It was done in conjunction with the creation of a video, a digital and physical book, with Candelino explaining that the success of the mobile messaging component came down to the interaction of all the campaign’s pieces. 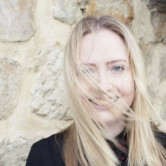 Candelino says that at the moment it's still "the wild, wild, west” with brands still working out what works in the mobile messaging space, adding that anyone who claims they’ve solved the puzzle is gravely mistaken.